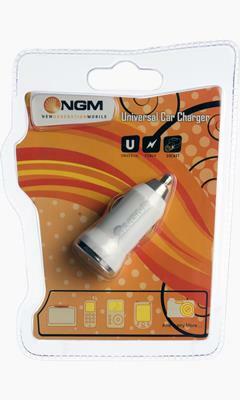 Universal, ultra-compact USB battery car charger. Thanks to its small size, it almost almost entirely disappears in the cigarette lighter socket of the car/truck/camper, transforming it into a USB charging port. 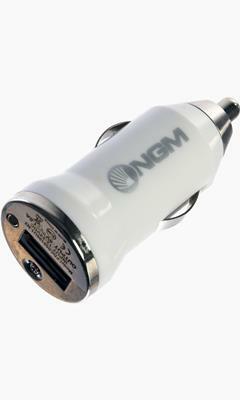 It ensures a maximum speed charge to all NGM devices and other compatible devices. USB cable not included (sold separately).